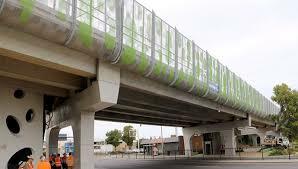 The review into the cause of the recent problems with the bikeway attached to the tram overpass was quite revealing. Not only was the project poorly designed, it was poorly built and the certifiers signed off on work that failed to meet Australian Standards. Work to repair the bridge will begin with the removal of the throw screens. It is my understanding that work will be done at night to keep traffic disruption to a minimum. None the less, residents in Leah St are having their amenity shattered and are fearful that it can only get worse unless DPTI are brought to account and direct traffic, especially large vehicles, is steered away from Leah St.